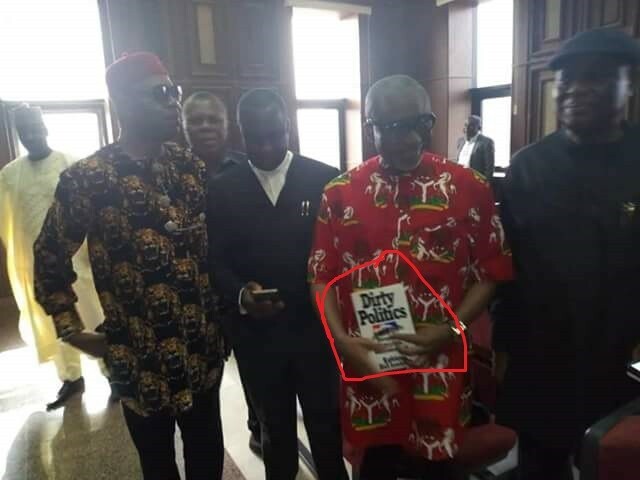 Senator Enyinnaya Abaribe this morning appeared in Abuja court holding a book called ‘Dirty politics’. 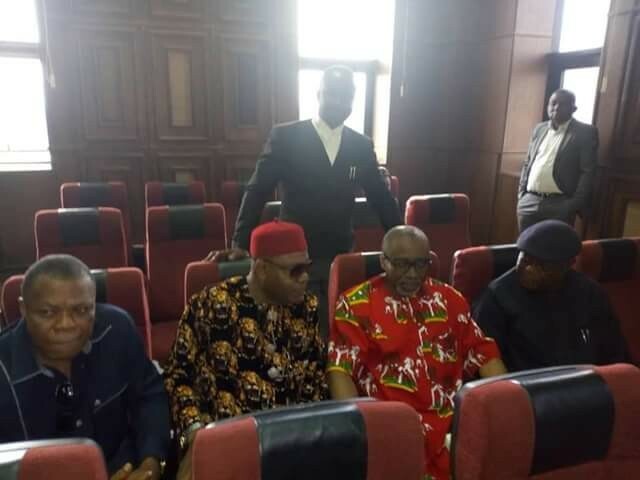 The Department of State Services arrested and detained the Senator representing Abia South in the Senate last Friday over alleged gunrunning and for aiding the proscribed Indigenous Peoples of Biafra. Abaribe’s lawyer, who briefed journalists in Abuja last Saturday, said the allegations were contained in a search warrant dated June 22, 2018, and produced by the operatives who raided the lawmaker’s home in Apo Legislative Quarters in Abuja. Ume quoted the warrant as directing the operatives to “focus and search for arms and ammunition and any other incriminating document , while the alleged crime was aiding and supporting a proscribed body i .e. IPOB”.